As a working musician, you spend so much of your time promoting your own work and trying to get people to listen to it — let alone actually creating the art itself. There are an unlimited number of things you can do to get fans excited about what’s coming next and potentially reach new ears, but one interesting thing that I don’t see many acts taking advantage of is Spotify pre-saves. This relatively new promotional feature is easy, simple, and to be honest, it comes from the world's most popular streaming platform, so why aren’t more people at least looking into it? Here’s a rundown of what Spotify pre-saves are, why they’re great, and how you can create them. A Spotify pre-save is exactly what it sounds like, which makes things easy. You can provide fans with a link that allows them to click save on a song, and the minute it’s available, it will be automatically downloaded to their collection on the streaming site. While it took a little while to find its way to streaming platforms, the idea of pre-saving a piece of music before it’s available isn’t new. In fact, it’s been happening for many years, so it shouldn’t take too much getting used to for your fans. People have been pre-ordering albums and even singles for a long time now, and these days, many artists give people something if they’re willing to purchase in advance (a discounted rate, access to a piece of content before anyone else, etc. ), so keep that expectation in mind if you’re going to run with a Spotify pre-save campaign. How does a pre-save benefit you? As an artist, Spotify pre-save links can be extremely beneficial, especially considering how easy they are to set up. A pre-save link gives you an excuse to promote your to-be-released song in a brand-new way, and any time you can mix things up when it comes to your own promo, you should jump at the chance. There is nothing more annoying than when a musician insists on pushing the same piece of content over and over, but when they are able to do so in interesting and different ways, it doesn’t feel quite so exhausting, and fans may even welcome it. As an artist, you’ll surely be promoting your new single in typical fashion, but a pre-save link gives you one more thing to get people excited about, and if you space things out correctly, it can fit into your rollout plan perfectly. Once your new cut actually drops, pre-save links can be extremely beneficial once again, even if you no longer need anyone to use them. Spotify’s algorithms pay close attention to how tracks perform at certain times, and the first few days (or even hours) after something is released are critical. If many of your fans have pre-saved a song, Spotify will notice that all of a sudden, it was saved by a large number of people upon arrival. That may influence how your cut gets served to others who might not know you, and it may help when it comes to being included in playlists, radio, and so on. Having your song played by someone is great, but when it comes to Spotify’s algorithm, a save is far more important than just another stream, as it shows someone interacted with your music in a meaningful way, as opposed to passively letting it play in the background. How does a pre-save benefit your fans? In addition to benefiting you, Spotify pre-saves are great for fans as well. Depending on how you want to run the promotion of your new cuts, sometimes the time between when you first announce a single and when it actually arrives can be far too long for some, and many might forget it’s on its way. That’s not a comment on your artistic endeavors or their memory or love for you, it’s just the way it works! Providing fans with a pre-save link allows them to save the song the moment they first see it mentioned by you, and then they don’t need to think about it ever again — until they’re streaming it over and over, that is. When it comes to getting people to consume your content, be it music, videos, or even social media items, you should do everything you can to make it as easy and effortless as possible. Essentially, the easiest way to create a pre-save campaign on Spotify is to work directly with your distributor. 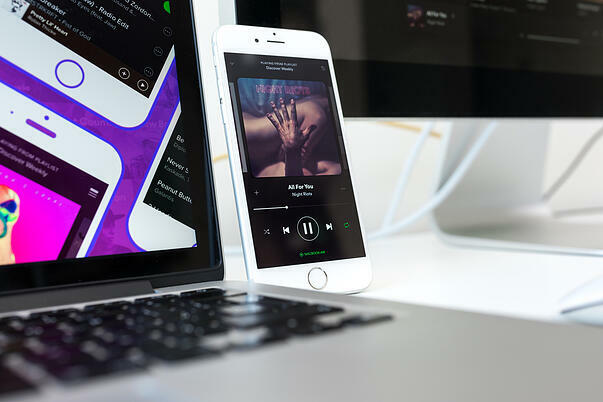 Whichever company you partner with to upload your music to streaming platforms like Spotify, Apple Music and the like, should be able to help you with creating a pre-save link, and it needn't take much effort at all. Reach out to your representative at these companies (popular examples include CD Baby, Symphonic Distribution or even Presave.io, which does just what you think) and see how long it will take to make all the happen. Sometimes you need to plan a month out, sometimes just a week or two. It varies by company, and you should also consider getting ahead of the game, rather than rushing at the last minute. These companies should be able to provide you with the link you need to be able to send your fans to the right address online, and from there, you can promote it however you like.